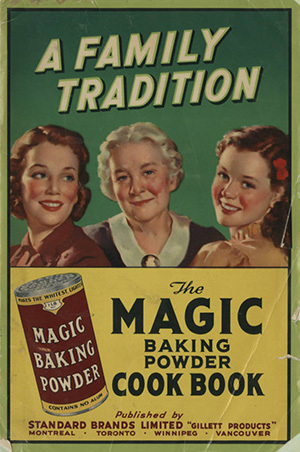 The Home Economics Pamphlets Collection consists of government and commercial publications on the subject of home management and nutrition and includes educational materials, recipes, household hints, and other materials. The pamphlets were originally published between 1826 and the present. The digital collection was built from resources held in the Martha Blakeney Hodges Special Collections and University Archives, the University Libraries Government Documents Collection, and by private collectors affiliated with the University Libraries. All materials presented online are presumed to be in the public domain. Due to copyright concerns, many of the pamphlets have not been digitized. For question about the physical collection, please contact the Martha Blakeney Hodges Special Collections and University Archives. Every fall, the UNCG University Libraries hosts the Vintage Viands event, where library staff members prepare recipes from the cookbooks in this collection and serve students and other visitors samples. Read more on the Digital Collections Facebook Page. The U.S. Government Food and Nutrition Pamphlets in this collection are part of the Association of Southeastern Research Libraries’ Collaborative Federal Depository Program (CFDP). UNCG is the ASERL Center of Excellence for the USDA Food and Nutrition Service and as part of its mandate has digitized these documents. We hold documents from the Service’s establishment in 1969 to the present. The entire collection is available online. For questions about the collection contact Lynda Kellam (lmkellam@uncg.edu).